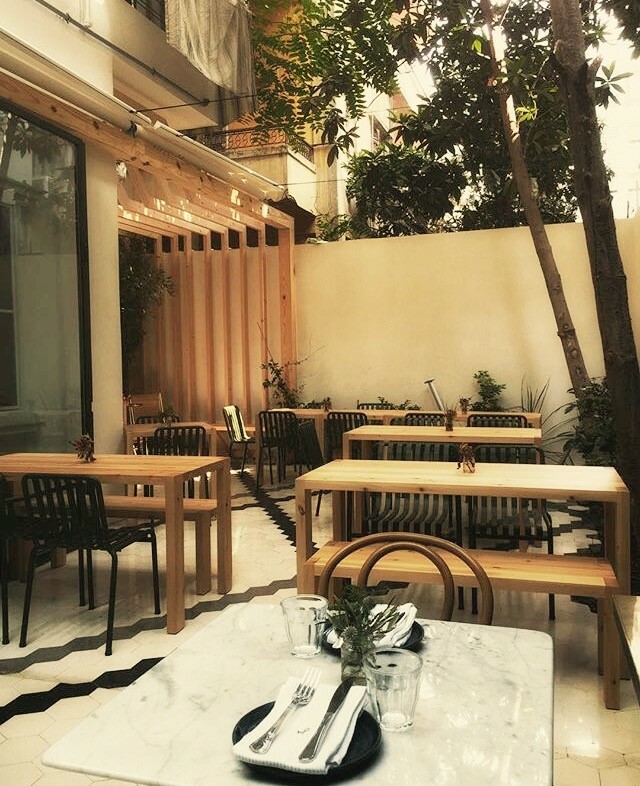 The food scene in Beirut is extremely vibrant and competition is very tough, yet Baron in Mar Mikhael rises to the occasion. Whether you come with a group or grab a seat at the bar with a friend in front of the beautiful open kitchen (like I did), let the ambiance and the delicious food carry you away. Baron is the perfect mix between relaxed and sophisticated. 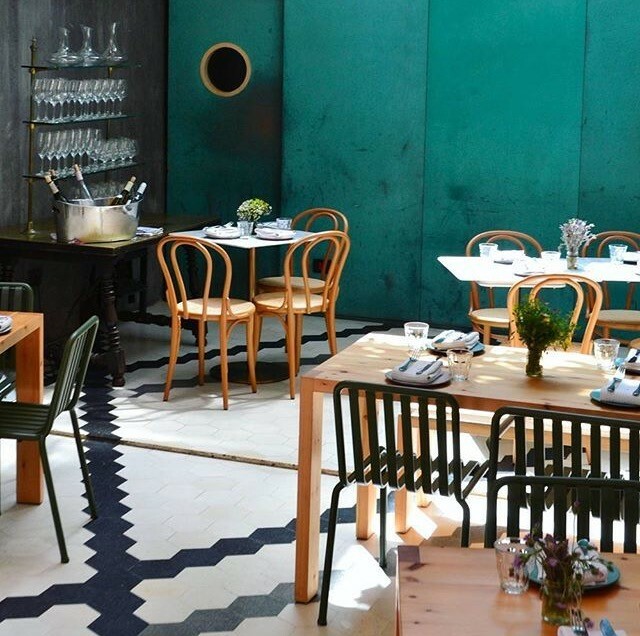 The tableware is absolutely beautiful with green and grey hues and the interior combines raw wood with metal. The open kitchen deserves a special mention; I loved looking at the chef and his team running the orders like clockwork and putting the dishes together. It’s was also a very fun way to get recommendations on what to order - and the options will leave you drooling.Baron’s food exemplifies my idea of “comfort food”. The ingredients are fresh, the dishes are colourful and full of flavour and the portions are very generous. We started off with their famous roasted cauliflower, topped with a tahini sauce, walnuts, pomegranate arils and rose petals - it was totally worth the hype. I really loved the crunchiness of the walnuts and the pomegranate combined with earthy flavour from the cauliflower. We also shared the chorizo with the squid ink risotto and the sweet and sour pork hock. Both were excellent, the risotto was creamy and paired exceptionally well with the spiciness of the chorizo while the hock was very tender and the sauce had the perfect balance between sweet, spicy, and sour. Next time, I’ll definitely come with a larger group in order to try the chargrilled carrot with quinoa and yogurt dressing, the artichoke with saffron aioli, and the date with soujouk and roasted tomatoes. The perfect mix of Levantine, Mediterranean, and modern cuisine. As for the meat options, while we were enjoying our meal the sous-chefs were putting the tenderloin with quail egg dish together and I have to admit that I was very tempted to place an order for one. Aside from the food the drinks menu has been thoughtfully put together with a mix of Lebanese and French wines and cocktails. The group sitting next to us was having moscow mules and they looked fresh and delicious. With its energy, sophisticated flavours, and relaxed environment Baron has totally won me over. I’ll be definitely coming back!